This transaction demonstrates the experience and know-how of the CVE Group’s dedicated mergers-acquisitions team. With the goal of acquiring 400 MW within 5 years including 40 MW this year, the independent producer of multiple sources of energy is conducting major deals that may require the formation of complex structures. CVE has the financial and technical expertise to be competitive and reactive in any type of solar and hydropower acquisition project. Cap Vert Energie has just acquired from Sunlap a 6.6 MWp rooftop photovoltaic power plant in Quincieux, a rural community in the Lyon metro area. This deal was made possible through a request for proposals by Envinergy, a consulting firm for intermediation and financing in the areas of solar, wind, and hydropower, in a highly competitive, complex environment. This project calls for the construction of sixteen parking lot canopies topped with photovoltaic roofs. Once the power begins flowing in the last quarter of 2019, the site will produce 8000 MWh of green electricity per year, equivalent to twice the consumption of the people of Quincieux (population 6700). CVE has the skills in financial engineering and its dedicated mergers-acquisitions team. The Group also has its own in-house photovoltaic and hydraulic research office. All technical, legal, and administrative audits are conducted without the need for outside consultants. 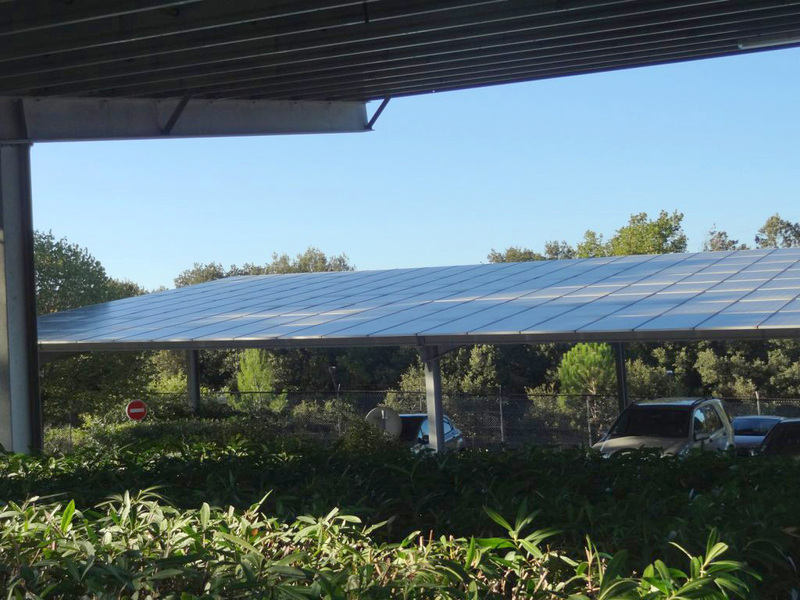 The acquisition of the Quincieux photovoltaic project demonstrates how Cap Vert Energie is capable of pursuing its development strategy in an increasingly competitive and demanding environment. In brownfield acquisition projects, we also have the expertise in-house to complete project development in a complex environment without halting activity at the site. Such is the case for the solar power project in Quincieux” explains Frederic Fortin, Director of Mergers-Acquisitions at the CVE Group. “We brought CVE and the seller together, and handled the transaction process. After a hydropower acquisition a few weeks ago, this project is the second CVE deal completed with the help of Envinergy. This illustrates its expertise and its ability to deliver competitive, reactive bids for projects of all sizes,“ says Eric Reisse, Executive Partner at Envinergy. Cap Vert Energie did in fact acquire its first hydroelectric plant in Aude several weeks earlier, following a thorough internal audit. The Group’s development strategy in hydropower relies primarily on purchasing plants that are already in service. Several acquisition projects are being considered for CVE’s photovoltaic and hydroelectric activity.